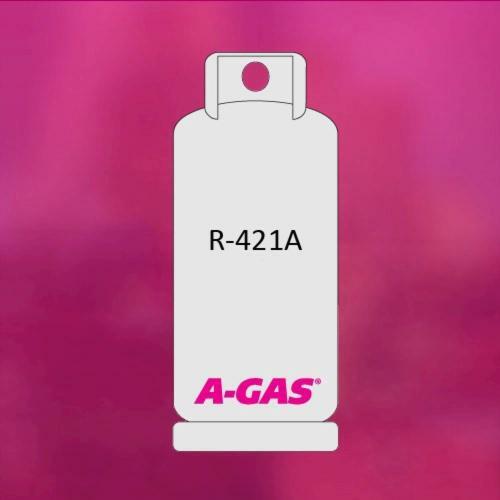 Choice™, R-421A Refrigerant, Clear Gas, -41.2 °F Boiling Point, Tetra¿uoroethane, 1,1,1,2, HFC Refrigerant, Cylinder Container, Blue, +181 °F Critical Temperature, 75.3 lb.ft³ Density Choice™ R-421A is a unique non-ozone depleting replacement for R-22. Usable with Mineral, AB or POE oils, this refrigerant can be be used in air conditioning, medium and high temperature residential, commercial and industrial refrigeration applications. Its performance temperature ranges are also comparable with those of R-22.